The Seven Wonders of the World is a well known traditional list of seven astonishing constructions of the ancient times. As people knew little about the world beyond the Mediterranean rim at that time, this list only has a collection of works located around that area. The two lists which were the most famous of many such lists were the ones complied by Philo of Byzantium and by Antipater of Sidon. As the Greeks considered seven as a magical number, the list of Wonders of the World had seven members. The Seven Wonders of The World holds the imagination of the tourists and interest of historians alike. Constructed at different points of time, at various places, the Seven Wonders of the World are the manifestation of some great dreams, some great abilities and some great efforts. The magnificent Statue of Zeuswas was constructed around 440BC. The foundation of the statue was 6.5m wide and 1m in height. The length of the statue was 13m and the statue was polished with Gold and Ivory. The Great Pyramid of Khufu was made by the pharaoh Khufu approximately in 2560BC. It is 136m in height with each side measuring 229m. 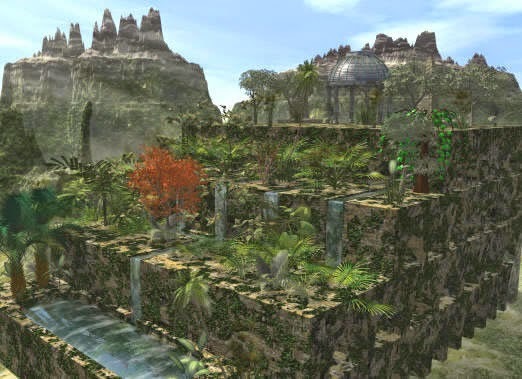 The Hanging Gardens of Babylon are the terraced gardens created by Nebuchadnezzar for his queen Amuhia in nearly 600BC. Each terrace was approximately 100m high and a water tank was put at the highest point to water the plants. 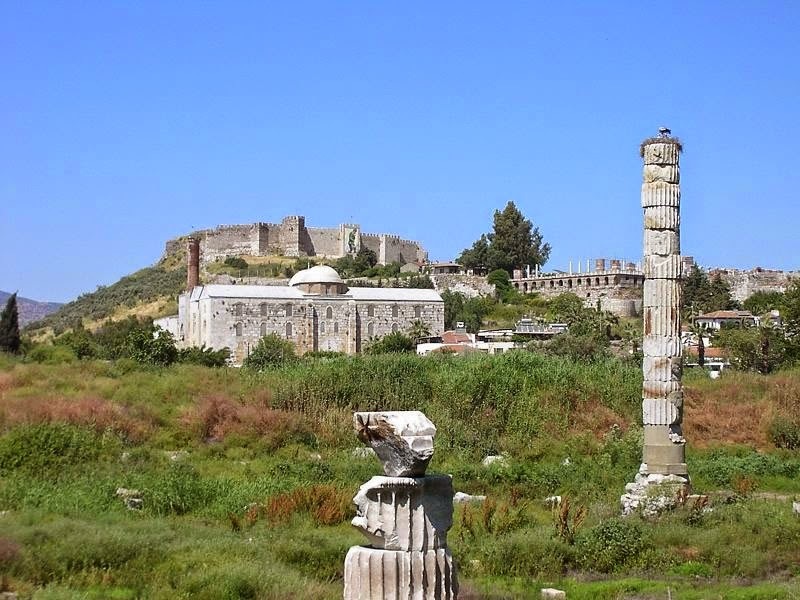 The Temple of Artemis at Ephesus was constructed around 350BC. The Temple was decorated with bronze statues carved by the very competent artists of their time. The shrine served as both a marketplace and a religious Eastablishment. 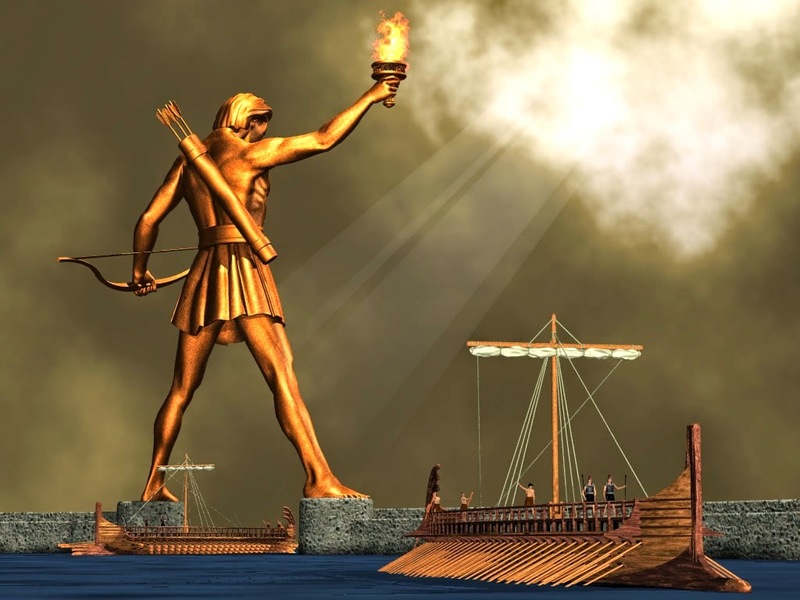 The Colossus of Rhodes The building of the Colossus took nearly 12 years and was completed in 282 BC. This statue of Sun God was made of bronze and toughened with iron. The huge statue climbed to a height of 32m and rested besides Mandrakion harbour. The Lighthouse of Alexandria This is a place which one should visit on travel to Alexandria Off Alexandria's coast there is a small island: Pharos. The island was linked to the mainland by means of a dike - the Heptastadion - which provided the city with a double harbor. And because of risky and unsafe sailing conditions and flat coastline in the area, the building of a lighthouse was mandatory. The Taj Mahal A tomb of white marble constructed by the Mughal emperor Shah Jahan in the fond memory of his beloved wife, Mumtaz Mahal; the Taj Mahal is one of the seven wonders of the world. The work began in 1631 and it took approximately 22 years for completion. It is an emblem of everlasting love. One must visit this beautiful wonder, especially on a full moon night. It is appropriately called the eighth wonder of the world. The Seven Wonders of the Ancient World have been around for over a millennium so there is little dispute among people today about what the list should include. The list of the Seven Wonders of the Natural World, however, is a modern list. Who is to decide of all the marvels of nature which are the top seven?Should there even be a top seven or perhaps a top ten makes more sense? 1. The Pyramids of Giza: The Pyramids of Egypt were built during 2700-2500 B.C in Giza on the west bank of the Nile and are the most ancient of the Wonders of the World. The first three of the ten pyramids at Giza are considered to be the most important. The first pyramid is the largest and is known as the Great Pyramid. 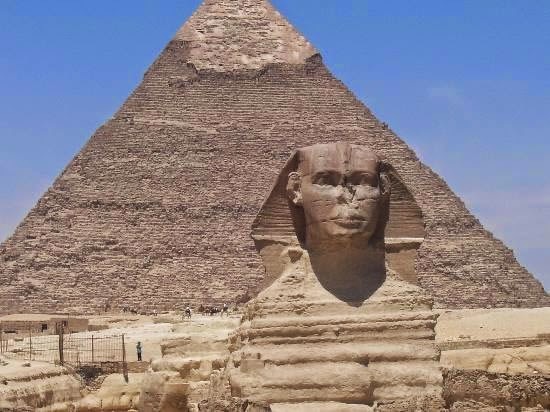 It was built for Pharaoh Khufu. It spans 13 acres and is 450 feet high. The pyramid shape resembles the slanting rays of the sun and it is also thought that that the slanting sides helped the king’s soul to climb up to meet the gods. 2. The Hanging Gardens of Babylon: Adding to the beauty of the Seven Wonders of the World, these gardens were built on a brick terrace in 605 B.C by a great king named Nebuchadnezzar II for one of his beloved wives. As was claimed by a Babylonian priest, they were spread over an area of 400 square feet and were 75 feet high above the ground. Nebuchadnezzar employed slaves to transport water from the nearby river Euphrates and attend to the maintenance of the gardens. It is a pity that these beautiful gardens no longer exist. 3. The Statue of Zeus at Olympia: In 435 B.C, a temple was built in Olympia to honor the Greek god Zeus. For the inside of this temple, a statue of Zeus was sculpted by Phidias on ivory. The statue was covered by a golden robe and had a wreath on the head. The figure of Nike, his messenger, was in its right hand and there was a scepter in its left hand. It was transported to Constantinople to increase its life where this Wonder of the World was unfortunately destroyed by a fire in A.D 462. 4. The Temple of Artemis at Ephesus: Chersiphron and his son Metagenes were the architects behind the construction of this Wonder of the World in 550 B.C. The temple had a captivating marble sanctuary and its roof was made of wood and covered with tiles. The base occupied an area close to 200 feet by 400 feet. The inner space had two rows of not less than 106 columns, each column being 40 to 60 feet high. 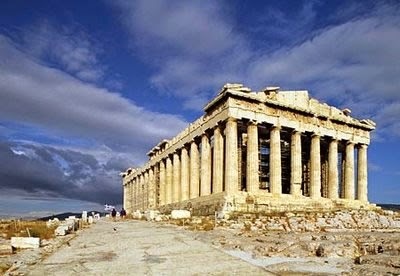 After being burnt and rebuilt several times, this temple was finally destroyed by an angry mob in 401 A.D.
5. The Colossus of Rhodes: This Wonder of the World was built as a celebration for the unity of the three city states of Rhodes in early 200 B.C. 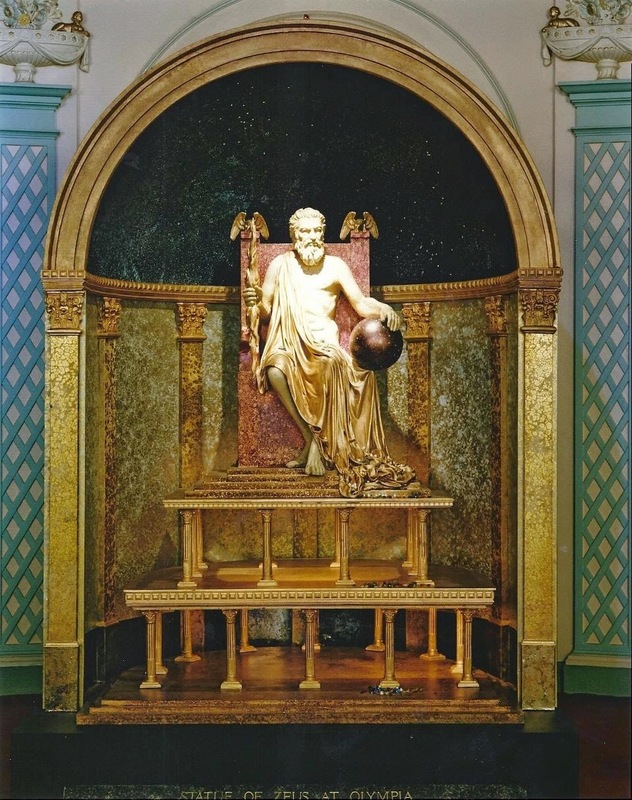 The Greek sculptor Charles was given the charge to build this bronze statue to honor the sun god Helios. It was a 120 feet high statue which was built on a headland and overlooked the water. Its internal support system consisted of stone blocks and iron bars. But, as nature would have it, it was destroyed by an earthquake just 56 years after it had been built. 6. The Mausoleum of Halicarnassus: This gigantic white marble tomb was built in 353 B.C by Greek architects Satyrus and Pythius to hold the remains of the king of a Persian province and his wife. The king’s name was Mausolus and Artemisia was his wife. The mausoleum was 135 feet high and four Grecian sculptors added to its beauty by decorating it with a band of ornaments from the outside. 36 columns were used to hold the pyramid at the top of the mausoleum. In the 15th century, an earthquake destroyed this magnificent Wonder of the World. 7. 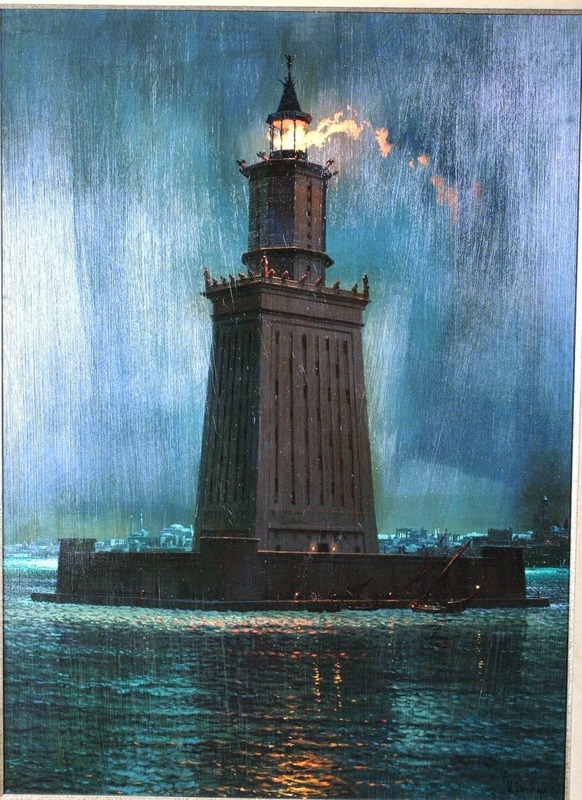 The Lighthouse of Alexandria: The lighthouse was almost 400 feet high and was one of the tallest amongst the Seven Wonders of the World. It was built in 304 B.C during the reign of Ptolemy II. The Greek architect Sostratus constructed it in three stages. A mirror at the top guided sailors during the day by reflecting sunlight, and a fire guided them by night. It was one of the last wonders to fall, when an earthquake destroyed it in 14th century AD. Out of the Seven Wonders of the World, only the Pyramids of Giza have survived the test of time. In recent times, many new lists consisting of wonders of the medieval world and the modern world have been developed.